Mastersingers by the Sea presented another in its fine series of seasonal concerts recently: “Winter: A Season of Remembering.” Aptly described as “intimate music for intimate spaces,” the concert featured music by Dominick Argento, Antonio Vivaldi, Samuel Barber, Wolfgang Amadeus Mozart, and Alberto Williams. It took place in the warm and comfortable setting of St. Barnabas Episcopal Church on Main Street in Falmouth on Saturday, February 25, and Sunday, February 26. 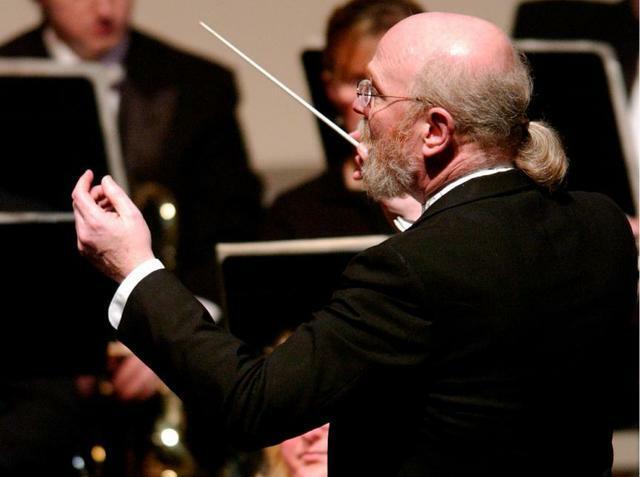 I attended the Sunday’s performance, which began with a welcoming message from the always affable David MacKenzie, music director for both the Mastersingers by the Sea and the New Bedford Symphony Orchestra. Members of the orchestra perform with the Mastersingers, both on instrumental works and in collaboration with the Mastersingers. One cannot really say they accompany the Mastersingers because the singers and the chamber orchestra form such a perfect, unified whole. Dr. MacKenzie acknowledged the cold weather by remarking that the “perfectly nippy” day made the winter theme of the concert more appropriate after an unseasonably warm winter. And the first selection, Antonio Vivaldi’s “Winter” from his “The Four Seasons” (1723) was indeed very appropriate for the day and as the opening work. Dr. MacKenzie described how Vivaldi intended to convey the sounds and moods of winter through the music and included Vivaldi’s accompanying sonnets in the printed program notes. And the lights remained on throughout the concert so one could refer to the program, which I appreciated. Violinist Jesse Holstein, concertmaster of the New Bedford Symphony Orchestra performed the concerto beautifully, expressively, as he had the “Autumn” concerto in the Mastersingers’ fall concert in October. He will continue with “Spring” at the next concert, April 21 and 22. The three-movement work, with string orchestra accompanying the soloist, conveys the sense of winter through its opening ominous chords (“stamping one’s icy feet, teeth chattering in winter”), setting the stage for Holstein’s vibrant solo, fluid and precise during the quick Allegro. The slow movement, Adagio (“sitting quietly by the hearth while those outside are drenched in the pouring rain”) was quiet, gentler, melodic, played with tenderness and grace. The final Allegro (“We tread the icy path slowly and cautiously, for fear of tripping and falling” and then “slip, crash on the ground”) continued the melodic theme at a faster pace and reintroduced the repeated chords, projecting a sense of anticipation, heightened by the low and rumbling cellos and bass. Holstein brought out all the intensity of the music, particularly in its spirited final passages. Next, tenor Robert Grady gave voice to “Dover Beach” by Samuel Barber. A member of the Mastersingers, Grady sang with a smaller group of musicians, a string quartet. He did a fine job on this melancholy composition (1931) based on a poem by Matthew Arnold, a lament against the miseries of war (“And we are here as on a darkling plain…where ignorant armies clash by night”). It is a bleak message, but was eloquently and powerfully expressed, and, as the last note lingered, the audience held back before applauding, not wanting to disrupt the mood. Mozart’s “Missa Brevis” in B Flat Major (K. 275) rounded out the first half of the program, bringing a sense of joy and good spirits. It was described by some contemporaries of Mozart as the result of “appalling adolescent exuberance,” as Dr. MacKenzie revealed. They felt that it was written more like a boisterous opera than reverent church music. The entire choir, including soloists Jacqueline Pina, soprano; April Merriman, alto; Robert Grady, tenor; and Brian Gilman, bass, took the stage for this work. Written in 1777, when Mozart was 21, “Missa Brevis” does indeed reflect the youthful composer, and the singers, soloists, and instrumentalists brought out its joyful. The opening Kyrie was lyrical and light; the Gloria upbeat and heartfelt. The mood was conveyed not only by the music, but by the movements and facial expressions of the musicians, the singers’ faces were vital and alive, heads moving to the music, eyes often on the conductor, immersed in the music, the soloists impressive. The Credo was similarly upbeat and celebratory, and the Sanctus soared, beginning slowly, voices blending harmoniously. The gentle instrumental opening of the Benedictus gave way to a lovely solo by soprano Jacqueline Pina, with the full chorus joining in the rousing conclusion. The final movement, Agnus Dei, began slowly and reverently, rising and falling, the chorus and orchestra alternating voices, and the vocal soloists took turns leading a jubilant Dona Nobis Pacem gavotte. A fine way to banish the late-winter doldrums! After a brief intermission, the orchestra returned to present Alberto Williams’ “Primera Suite Argentina for Strings.” Williams was an advocate of Argentinian and Latin American folk music and the first prominent Argentinian composer to weave Argentine folk music into classical-style music. The suite includes four dances, the hueya, the milonga, the vidalita, and the gato, each with its own distinctive style: lively, bubbling, or slow and contemplative, tango-inspired, European and African-influenced, humorous, and improvisational. The performance was clearly fun for both audience and orchestra. The final piece on the program was perhaps the most-awaited; a presentation of contemporary composer Dominick Argento’s (born 1927) setting of Robert Browning’s “A Toccata of Galuppi’s,” featuring Paul Cienniwa on harpsichord, along with string quartet and chorus. Robert Browning wrote the poem “A Toccata of Galuppi’s” in 1855. A toccata is similar to a sonata, and Galuppi was Baldassare Galuppi, an 18th-century Venetian composer. Browing himself was trained in music theory and composition, and the poem has been described as “not just a commentary on music, but a complex portrait of the person attempting to interpret the music,” to understand 18th-century Venice by studying the music. What makes Argento’s work, written in 1990, particularly interesting is that the harpsichord is “concealed,” that is, played from offstage, to give it a faraway sound. The harpsichordist plays excerpts of actual works by Galuppi, written in the 1700s, while the chorus and string quartet reflect and interpret the words of Browning, written in the 1800s, in the sonorities of the late-1900s. The effect was magical. A virtuoso harpsichordist, Paul Cienniwa conveyed the beauty and mystery of Galuppi’s work even from offstage, an arrangement which gave the harpsichord a fragile and haunting sound, dramatizing the theme of contemplation on past grandeur and the mortality of man. It was a powerful mix of styles and periods, dissonant in spots, harmonious in others. It was both mournful and dramatic, the chorus and the quartet working well together and with the unseen, but unforgettable, distant harpsichordist. The work was a tribute to all three eras and to the Mastersingers’ commitment to presenting a rich and diverse repertoire from great composers of the past and present. The concert was followed by a reception during which audience members had the opportunity to meet and talk to the singers and instrumentalists while enjoying wine and refreshments. 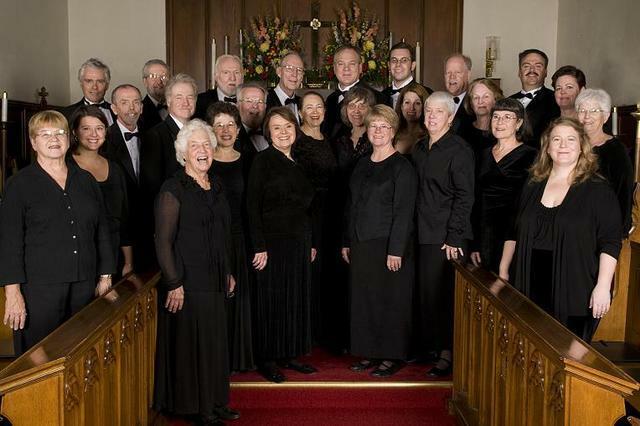 The Mastersingers perform next the weekend of April 21 and 22 at St. Barnabas. The program is “Spring: A Season of Renewal,” and features Vivaldi’s “Spring” from “The Four Seasons,” performed by Jesse Holstein; William Boyce’s “Overture No. 7 in G Major, J. S. Bach’s “Mass in G Major” (BWV 236), Mozart’s Adagio and Fugue in C (K. 546), and “The Great Trees,” written in 2009 by Gwyneth Walker. Advance tickets are $20 and may be purchased at Eight Cousins Bookstore, Falmouth and Market Street Bookshop, Mashpee Commons or on line at www.mastersingersbythesea.org. Tickets at the door are $25, and tickets for students under 18 are $10. For more information call 508-540-4732. Photographs from the Mastersingers by the Sea website.